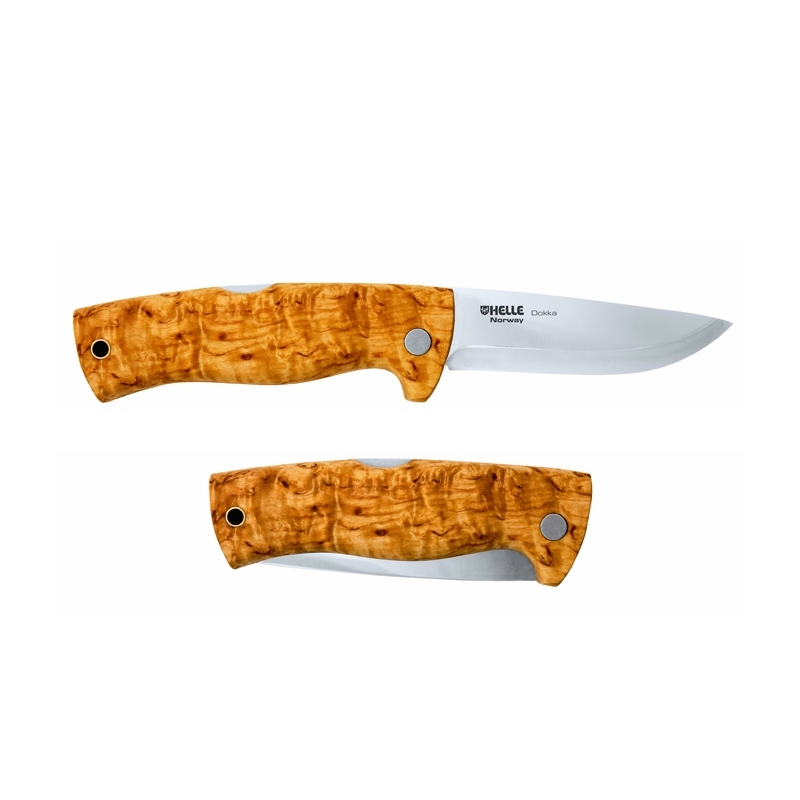 The Dokka is a quality Norwegian Folding Knife from Helle. Brilliant wee knife compact solid as a rock and holds a razor edge. Bought one of these about a year and a half ago, fantastic for gralloching deer. Very sharp, high quality blade. The best bit however is the lifetime warranty you get through Whitby and Co. which means that if anything at all goes wrong send it to them and get a brand new knife, I did. Just bought this knife. I was a great fan of buck knives. But this knife is far superior in every way. Great to hold very sharp. I will definitely be buying more.